Though I moved across the country from New York to Montana, it's not any warmer where I am at. We still have snow! I can't wait for warmer weather to arrive. 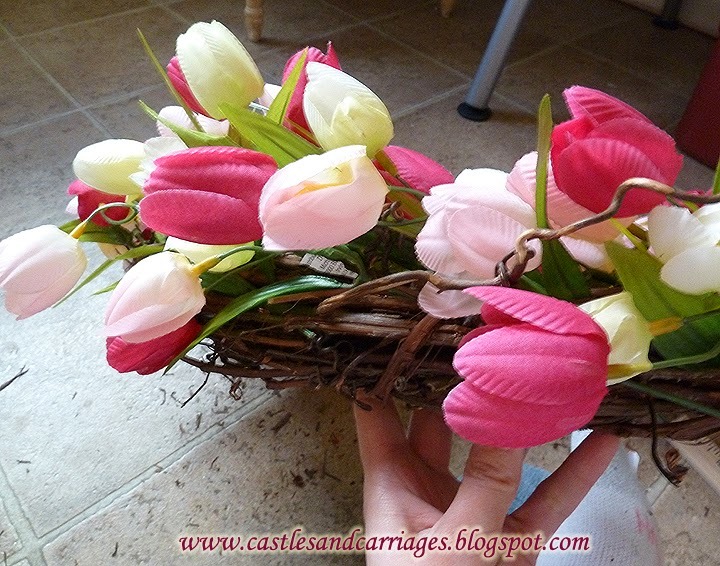 In the meantime, I have been busy decorating the house in spring colors and I'd like to show you how I made some of the decor on my mantel. 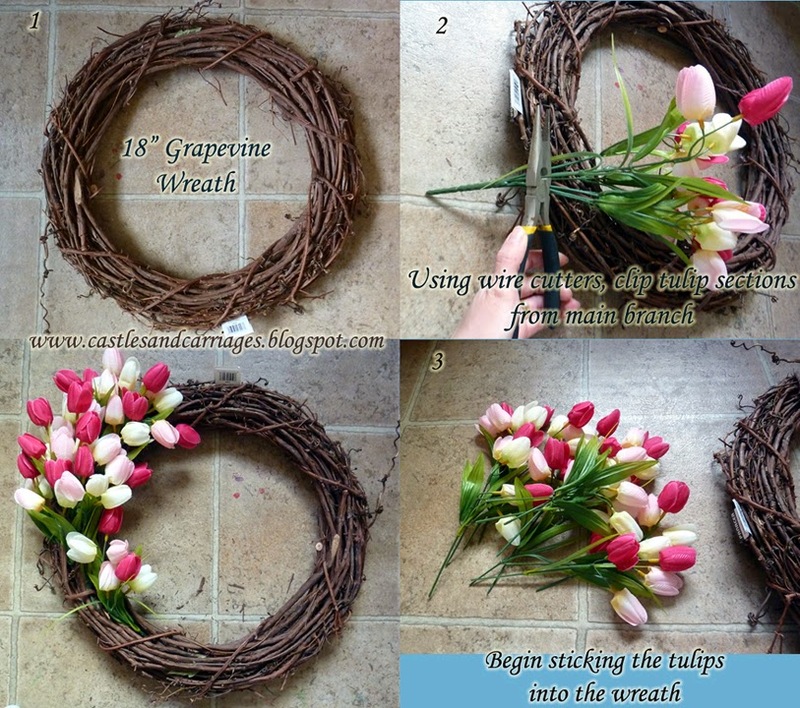 Today, I'd like to show you how I made my Spring Tulip Wreath. It took me less than 30 minutes to make. Part of what makes this wreath so lush looking is tucking the tulips everywhere including the inner and outer edge of the wreath. So don't neglect those areas! It's that simple! Similar wreaths online cost anywhere between $60 - $100. 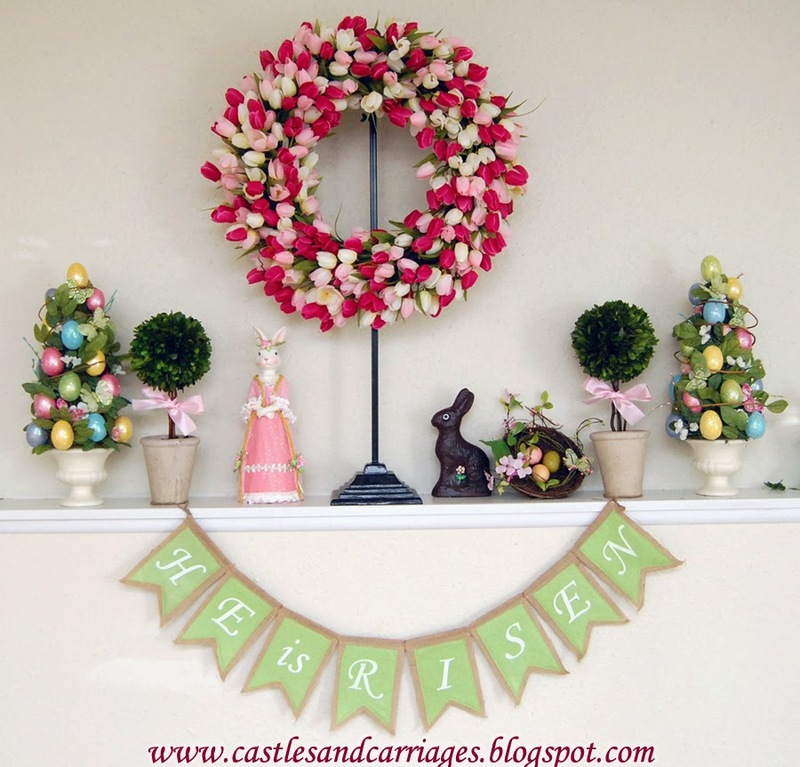 The cost of the wreath I made was about $25 (the spring flowers at Michaels was already 50% off) including the grapevine wreath (I used a 40% off coupon at Joanns).